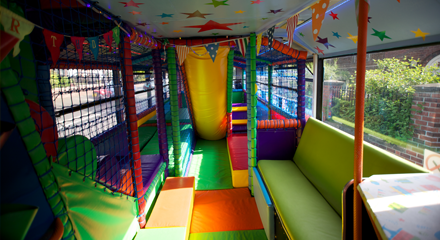 While all the adults are enjoying your Christening event, children can get very restless, so why not let us entertain them with our play bus, at your Christening? Double Decker Den has attended many christenings at a wide range of venues, however please check with your venue whether there is ample parking and turning space (!) as well as easy access in and out so the kids can play safely. We’ll need to hook up to electrics so please let the venue know in advance. It’s more fun for the kids and they enjoy the whole experience more – you’re not being mean you’re actually being a great host by putting on something that’s especially for them. Kids feel relieved when they see the Double Decker Den Party Play Bus as they know the fun will now begin! Bring a spare change of clothes – the slides and crash mats are more fun in play clothes than posh outfits. We recommend having no more than 15 children on the bus at any one time, but with a longer 2 hour booking all the children (even the big ones!) have plenty of chances to play on the bus. and plenty of time for free play. Price start from £190 for a 2 hour slot, food or our optional extras are in addition to this. 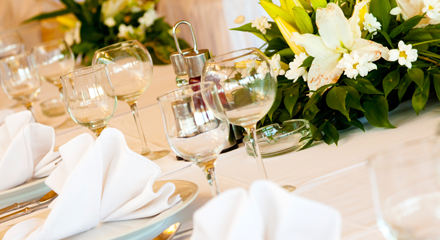 Contact us to discuss your christening day requirements.